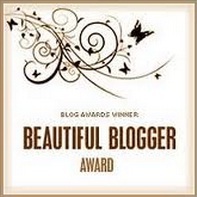 Every so often when I see a fellow blogger earning recognition, I hit that melancholy patch that reminds me of the childhood sting of being the little girl nobody wanted to play with. Thursday afternoon, my online friend and talented author Jane Isaac made my week by nominating ME for an award, assuring me that my words do have value in some quarters. Look at how shiny it is! I’ve lived on four different continents, and until this latest move hadn’t lived longer than 6 years in any one city or house. My college adviser laughed when I showed him how I had planned out my four years when I was a freshman and assured me I’d change my mind before I graduated; I didn’t, and managed a triple major in three and a half years, allowing me to take a semester off and still graduate with my class. I dedicated Shel Silverstein’s “Hug o’ War” to my first “boyfriend” in fifth grade, so the poem still tickles a special place in my heart. I would rather live with dogs and allergies than without either. Growing up, I teased my dad about not liking desserts; as an adult, I’ve discovered I have sensitive teeth that react painfully to sugar. So I’m not big on sweet stuff either. Except for fruit. I’m lucky enough to have maintained the same size/shape since High School–I can still wear “the classics” my mom made for me way back when. I’m also lucky enough to have married my best friend almost 15 years ago, now. Gayla Drummond – http://gldrummond.com/ – The first author I met on Twitter about 3 years ago now. She’s taught me most of what I know about responsible indie publishing. 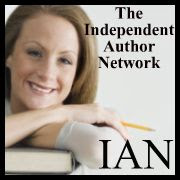 Liana Brooks – http://www.lianabrooks.com/ – The most recent author I’ve met on Twitter. I love her writing style and sense of humor. Sarah Cass – http://redefiningperfect.com/ – Another author who also juggles some pretty steep motherhood issues – with a good sense of humor. Jennifer James – http://www.authorjenniferjames.com/ – A multi-published romance author who is supportive and friendly toward those who are also working at writing. Sabrina Garie – http://sabrinagarie.com/ – A fantasy/scifi author who geeks out about strong female characters the way I do. Jodie Smith – http://www.riverinaromantics.blogspot.com/ – Another romance author who’s super-supportive of the community of authors she’s connected to. Fiona Druce – http://www.fionadruce.com/ – A fun romance author who has the salty background of a stint in the Army to make her laugh-out-loud hilarious. 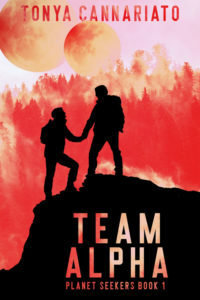 Ellie Heller – http://elliewrites2.wordpress.com/ – A paranormal romance author who is also thoughtful and funny and supportive. The things I’ve learned from all these women have helped my own writing and kept me focused in my own development as an author–and share the absolutely necessary characteristic of that sense of humor that allows them to laugh at themselves as much as the strange things that happen in the world around us. I keep thinking of other people who’ve supported me (like @zencherry and @AKMamma and @safireblade and @evilmynx and @moonduster – you get the picture! – as well as most of the nominees Jane already mentioned), so I’ll count this as a happy shout-out to everyone else my tired brain can’t conjure at the moment – let’s all dance a beautiful, virtual dance together in celebration of great words on a regular basis. I’m on ten years of having moved every 24 months or so. My children have lived all over the states. I, myself, have only lived in two countries, however. I plan on changing that one day. Eventually! When I’m super famous and people pay to see photos of my “Book Research Journeys” or something. Hmmm… idea! Thank you much, you beautiful blogger you. I’ve also lived in four countries and not yet lived 6 years simultaneously in one place since I left home home to go to college, although I keep returning to where I am now after years away.